TWO STORY TREASURE! Youll never be searching for bedroom, storage or entertaining space in this delightful home on a corner lot! 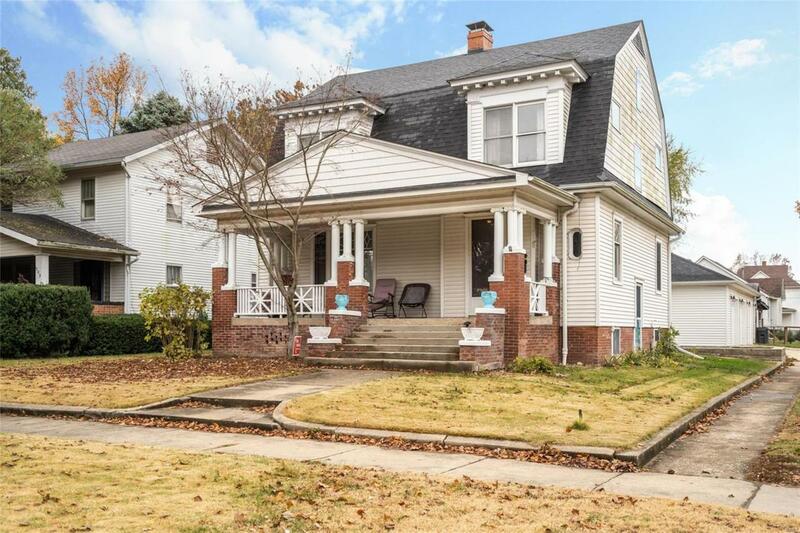 Experience the charm of an older home that has been tastefully updated so you can just move right in! Open and spacious living room, dining room and kitchen. Upstairs are three roomy bedrooms and two bathrooms (one with toilet, shower, tub and the other with two sinks). The mostly finished lower level is currently being used as the master suite; complete with three-quarter bath, laundry/utility room and a 10x9 closet! The detached three (3) car garage has so much storage space for cars and anything else youd like to keep. It's also heated, cooled and has a 1/2 bath! Your search for space has been solved!